Fall in love with newly-widowed private investigator Callie Webber as she grapples with murder, money, and the mysterious multi-millionaire who just might help her learn to love again. Explore articles, videos, interviews, and other info about this series. 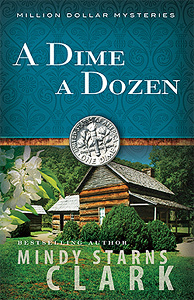 “...a terrific tale that completes the circle started with the first novel. The storyline is electrifying." 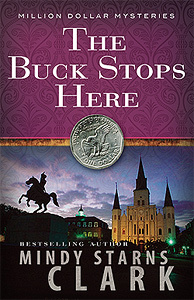 Using her investigative skills, Callie throws herself into the most important mystery she has ever attempted to solve. 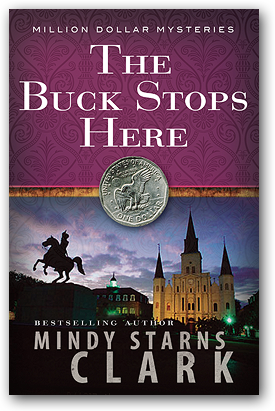 As she heads to Louisiana to answer questions surrounding her husband's death, will the answers Callie seeks put an end to her relationship with Tom—or will she find what she needs to know in order to move forward and begin the next great adventure of her life? 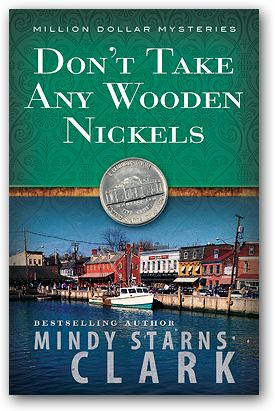 "Engrossing and perfectly-plotted...a must-read for the mystery lover." It's April, spring is in the air, and Callie and Tom have just spent a wonderful few weeks getting to know each another after years of a telephone-only relationship. But as their time together draws to a close, they are called to the hospital bed of mutual friend Eli Gold, who has just been shot. Eli begs Callie and Tom to find out who is responsible for the shooting. 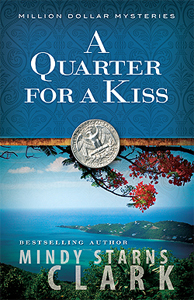 The search leads them to the beautiful island of St. John in the Virgin Islands. There they face a sinister enemy among the ruins of an old sugar plantation—an enemy who's willing to do anything to keep his identity secret and the past deeply buried. 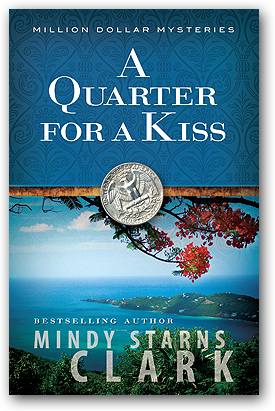 Learn more about the song, “Quarter for a Kiss,” read the lyrics, and listen to an excerpt. "...ties up every loose end without losing a thread." 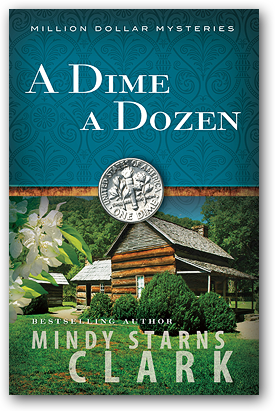 A Dime A Dozen takes Callie to the Smoky Mountains of North Carolina, to give away a million dollars to a pair of charities that serve migrant apple pickers. When one of the migrant workers turns up dead, however, it's up to Callie to find out who killed him and why—even as the killer targets Callie as the next victim. 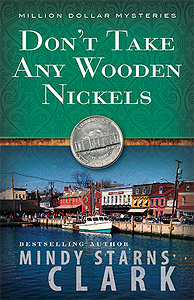 "A likable protagonist and a fresh, carefully crafted plot..."
Don't Take Any Wooden Nickels follows Callie to her home on Maryland's Eastern Shore, where she volunteers in her spare time at a clothing boutique for indigent women between work assignments. There's plenty to keep her busy as she waits. One of Callie's favorite clients is out of drug rehab and just starting to turn her life around when her boyfriend disappears. When the boyfriend turns up dead in the trunk of the girl's car, it's up to Callie to clear her client's name and get her out of jail by finding the real killer. But can Callie find the killer before the killer finds her? 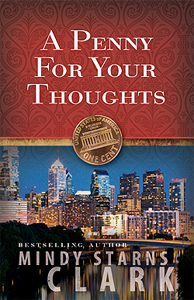 The first book of the series introduces sleuth Callie Webber, a private investigator and attorney who works for a mysterious philanthropist named Tom. Callie's job is to investigate charities and, if they are on the up and up, donate money on behalf of her employer's J.O.S.H.U.A. Foundation. 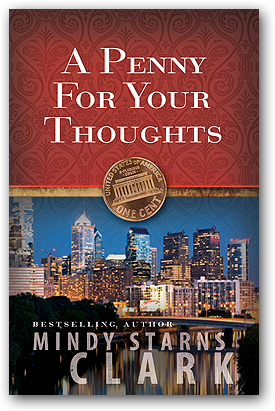 In A Penny for Your Thoughts, Tom sends Callie to Philadelphia to deliver a grant to an old friend of his. But before Callie can even hand over the money, she's face to face with a dead body—and lots of unanswered questions! Download the book club discussion questions (pdf).